When Jade Munro swapped a globe-trotting career as a gemologist for a new role as a military wife and mum, she had no idea how resentful she’d feel in the beginning. Today, she writes a blog to help inspire and empower other military wives. This is her story. I travelled the globe as a gemologist for many years, specialising in diamonds and tanzanite. The majority of my time was spent aboard cruise ships, lecturing and trading. I returned to London a few years ago, and before marrying my husband I ran an agricultural investment office in Knightsbridge, while spending a lot of time on their plantations in Brazil. It was a tough life. Said no one ever. It went the same way as my flat, toned stomach. It disappeared into my rose-tinted history. I gave up everything to be a mum and follow my husband around the country. It sounded simple in the beginning, but it has been a journey of personal growth to make peace with a lot of frustration and resentment at being dependent on someone else. However, having been given the chance to be a stay at home mum has been a blessing that I acknowledge every day. What career challenges do you think that military wives face? The fact that we, as a family, have moved three times in the past eighteen months would, I’m sure, put many civilian employers off the idea of hiring me. How have you tried to overcome them? I have accepted that at this point in my life I have been given the gift of time, which I am going to use to further my writing career, pursue new hobbies and enjoy watching our child grow. It also means that I can have a glass of prosecco on a Monday, as Monday is the new Friday in my books. Once we receive a long term posting I will probably attempt the minefield that is job hunting as a military spouse. I am reassured by the number of military recruitment agencies I see appearing, so I probably have nothing to worry about. Probably. And what do you love about being a military wife? Oh, I am so proud. I am also a huge fan of the lifestyle. The constant upheaval isn’t romantic and it can be isolating, but I love the adventure of it and how it has carved me into a more confident, well rounded individual. The sense of community spirit and support networks on every patch we have moved to is such a wonderful experience every time as well. My husband and I went through a very difficult patch a year into our marriage where I really struggled with the reality of my lost livelihood and identity. After some incredibly successful relationship counselling I realised that I couldn’t be the only person stepping blindly into military marriage and began the blog as a personal journal, a platform of support for fellow military spouses and hopefully a new beginning. I observe my daily life as a military wife, a stay at home mum and a woman on a journey. It is seeped in humour and honesty. I hope my positivity and passion is infectious and that every person that is a part of this lifestyle can read something that I have written and identify with me and know that it is normal and everything will be okay. How easy or difficult do you find it to write, and how do you overcome writer’s block? I find it incredibly easy to write once I have tied myself to the chair in front of the computer. It is getting me into that chair that can be the problem. For example, before sitting down to answer these questions I was adamant I had to put some make up on. Why?! If I find myself at a loss at what to write I go for a lovely long walk with Baby and Dog, practise my breathing and ask the universe to give me some inspiration. Works every time. What’s your vision for your blog? I would like it very much if it could be read by every person that needs to read it. For whatever reason, to snort with mirth, to have a good self pity-ing sob, for reassurance and advice, or if you are randomly seeking how to make a quiche with a shop bought pastry case. How that transpires, I don’t know yet. I have let the oars go and am allowing it find itself. Prosecco, every military spouse – we are a special breed, an incredibly inspirational bunch – and the author, Bill Bryson. His books are my bibles. What advice do you have for other mums that are thinking of starting a blog? Just do it. It’s free. You can be anonymous. You have nothing to lose. I was on a forum recently where a mum was debating whether to start a blog about being a mum. Someone advised her not to, because there were too many parenting blogs and no one would read hers. Eh?! Thats like saying you aren’t going to make spaghetti bolognese tonight, because it’s been done before. You are never going to know unless you do it and keep in the back of your mind that there is nothing enlightened about shrinking so that other people won’t feel insecure around you. Go and be a success! Initially, it was incredibly therapeutic for me to get all of my thoughts and emotions out of my head and onto paper that I wouldn’t have noticed if anyone had read it anyway, I was too busy being a lighter, happier person because of it. You could change the world with your blog. Even if its just one persons world, it is still worth it, no? 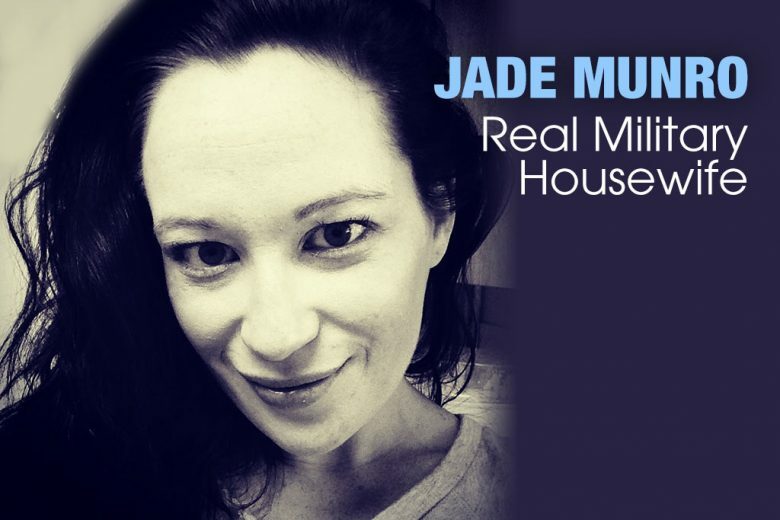 You can find out more about Jade on her blog, The Real Military Housewife.